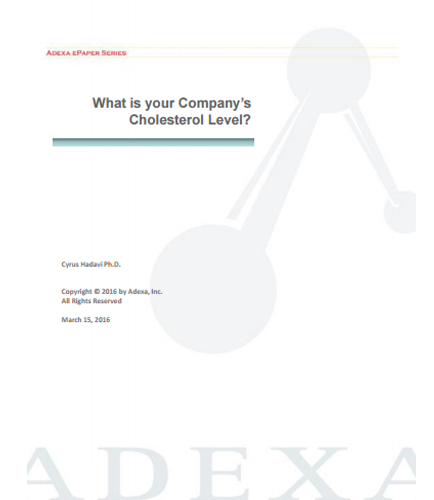 "Proven methods to know the right balance between ''Good and Bad inventory"
This whitepaper is a comparative analysis between cholesterol and inventory and their similar effects on the health of an organization and human immune system. Just like Cholesterol, we have “good” inventory and “bad” inventory. The good one is the one indicated by high number of turns which is indicative of agility and fitness that increase your good cholesterol. The bad inventory can be found as raw material blocking the supply chain in an organization. The right mix of inventory is essential to every business .But there is no easy way to know the right balance of inventory. - Proven methods to know the right balance between ''Good and Bad inventory''. - Preventive measures you can take to get rid of bad inventory. - How to create a global inventory mix that achieves outstanding customer service levels while simultaneously reducing inventory.